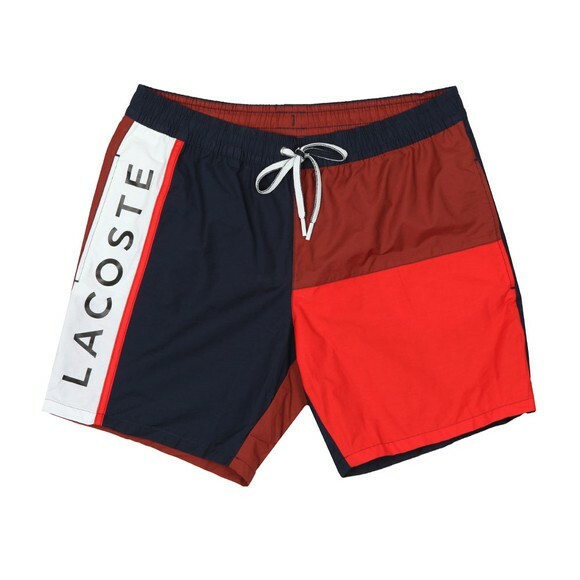 Lacoste MH4768 Swim Short, In Bleu Marine/Marron. With an elasticated waistband that has a contrast drawstring closure, two side and one back pocket. 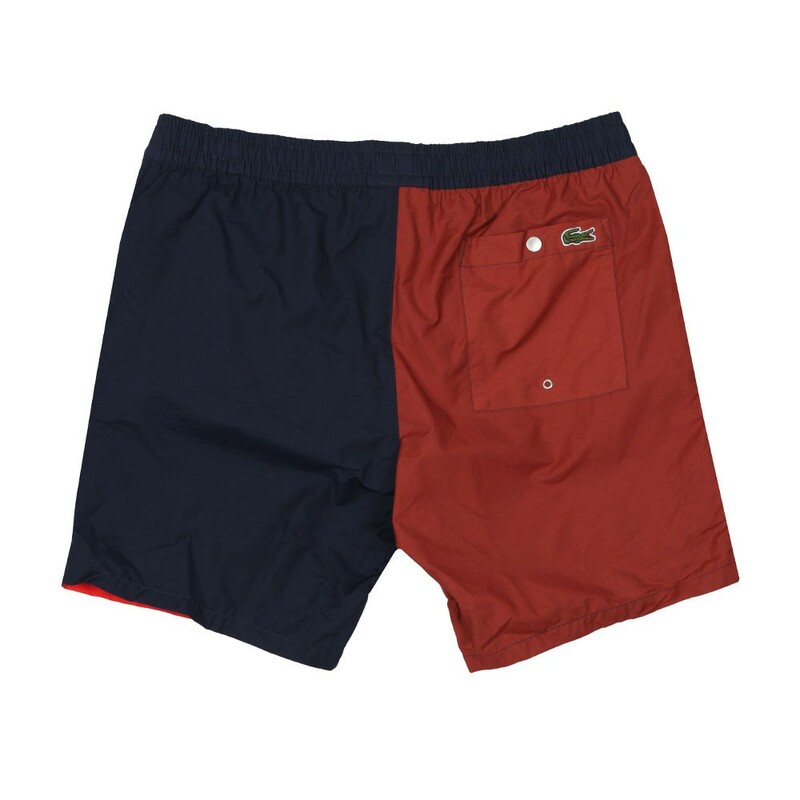 Mesh-lined, colour block detail and finished with Lacoste branding down the side and the iconic crocodile embroidered to the back pocket.